Critics say VMware vCloud Director (vCD) isn't suitable for production environments, but what about a home lab? If you're crazy enough to attempt it, this guide explains how to set up vCD at home. In it, I installed VMware vCloud Director (vCD), which is VMware's attempt to bring cloud computing to the masses. It's used in conjunction with vShield Edge and third-party products to create private and hybrid clouds. Once created, admins use vCD to manage and monitor a virtual data center. One of the criticisms of vCD is that it requires numerous components, which can be difficult to assemble. After testing vCloud Director, I put together this step-by-step guide on how to install vCD in a home lab for my fellow spelunkers. VCloud Director installs to a Red Hat Enterprise Linux (RHEL) distro and requires an Oracle database as back-end database storage. VCloud Director also has separate requirements for Secure Sockets Layer certificates and Microsoft's System Preparation tool. If you have a Microsoft Windows and SQL Server background, the setup and configuration process may be a challenge. Because licensing for home labs is difficult, I used the free version of Oracle Enterprise Linux. Although it's not officially supported by vCD, Oracle Enterprise Linux works because it's an original equipment manufacturer version of RHEL. I also used the free Oracle Express 10g for the back-end database storage (but see my disclaimer below). 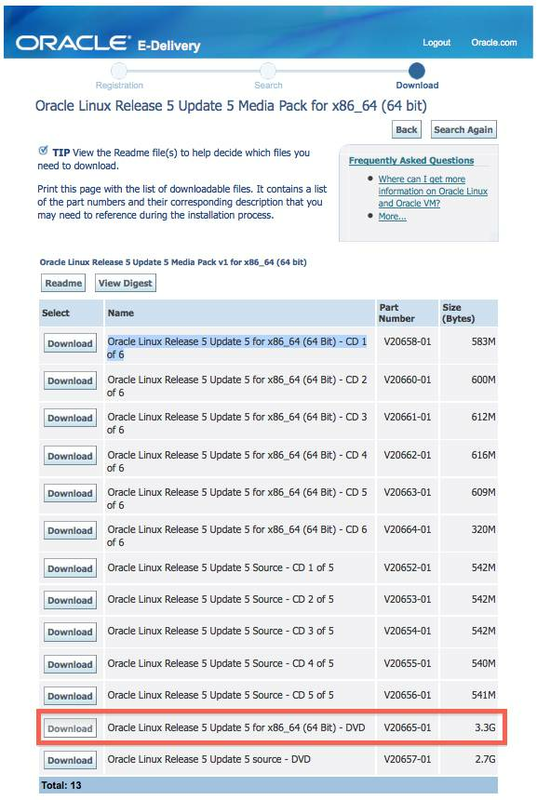 After downloading the vCD components, download the Oracle Enterprise Linux ISO image. You have to supply your name, company and email address to access the download pages. I downloaded the entire DVD ISO files rather than the individual CD ISOs. 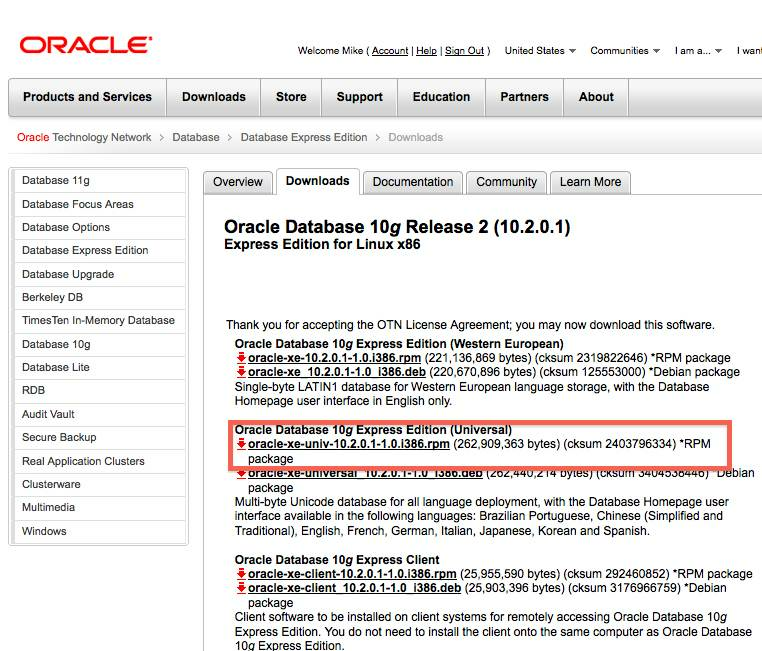 Next, download Oracle Express Edition 10g (Universal) in the Red Hat Package Management (RPM) format. 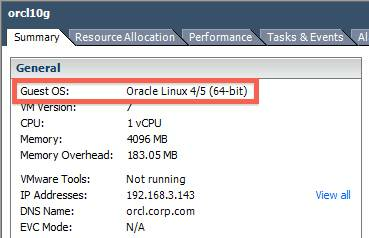 Once you upload the Oracle Enterprise Linux ISO to your home lab storage, install it to a virtual machine (VM). 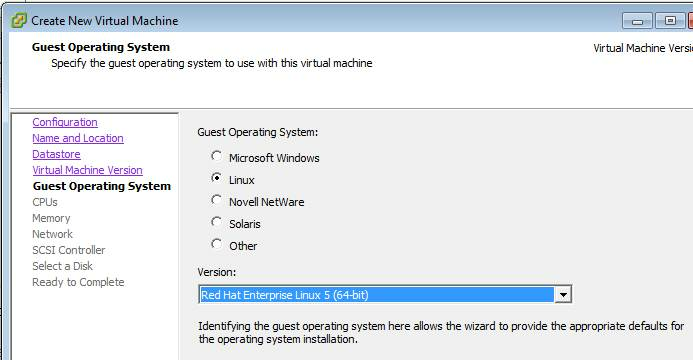 Oracle Enterprise Linux isn't listed, so select Red Hat Enterprise Linux 5 (64-bit). Once you install Oracle Enterprise Linux and configure VMware Tools, vCenter will correctly report the VM's OS. Two network cards to the vCD VM. The vCD server has two network interfaces: an internal interface and a console-proxy interface. VCloud Director uses the internal interface to communicate with vSphere; the end user uses a console proxy to connect to VMs. The vCD acts as proxy to a VM within vSphere. This setup opens a remote console with the VM without connecting directly to an ESX host or vCenter to get a window on their VMs. The size of the vCD's virtual disk. In vCD, it's possible to store templates and ISO images and make them available in the user's catalog. You can store these images on your internal storage (where they most likely reside) or upload them to vCD, where they are stored independently from vSphere. If you choose this option, you risk running out of space for VM files. In the next installment, I discuss how to install Oracle Enterprise Linux and Oracle Express 10g in a vCloud Director home lab. Mike Laverick (VCP) has been involved with the VMware community since 2003. Laverick is a VMware forum moderator and member of the London VMware User Group Steering Committee. Laverick is the owner and author of the virtualization website and blog RTFM Education, where he publishes free guides and utilities aimed at VMware ESX/VirtualCenter users, and has recently joined SearchVMware.com as an Editor at Large. In 2009, Laverick received the VMware vExpert award and helped found the Irish and Scottish VMware user groups. Laverick has had books published on VMware Virtual Infrastructure 3, VMware vSphere4 and VMware Site Recovery Manager. How do you configure ESXi time sync through the vSphere Web Client? How do you change ESXi 6.5 host names and DNS configuration?